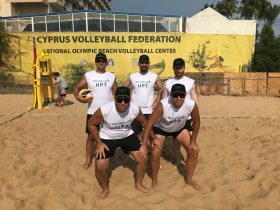 The UPT Cyprus team has once again participated in the Charity Beach-Volley Tournament, being the main annual sporting/charity event of the CSC. The Tournament is organised by the Chamber, under the auspices of the Minister of Communications and Works, with great success since 1996. 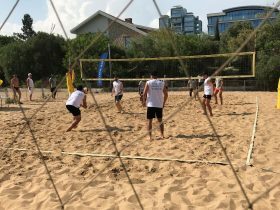 An enjoyable friendly competition among colleagues and friends also helps financially the “One Dream One Wish” Children’s Charity Association to give joy to children suffering from cancer and related diseases.